Reserve a Field for Recreation Today! 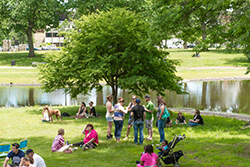 A park and open space system is not a standalone or isolated complex within a community. In fact, where parks and open space systems provide the most value to its citizenry, it is a highly integrated and highly connected, highly accessible series of properties and programs where good health and well being, athletic competition, informal play, culture, art, history, social interaction and just basic fun get woven together to form amazing and wonderful parts of everyday life. To learn more about recreation programs, register for activities or make online reservations for Park Permits or Field Permits, please visit our Online Registration Portal. 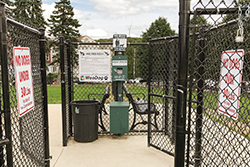 For online registration support or assistance, please call or email the Parks Division at 508-799-1190 or parks@worcesterma.gov. Hours of operation are 8:30 a.m. to 4 p.m. Monday through Friday (closed weekends & Holidays). Emails will be answered during normal business hours. 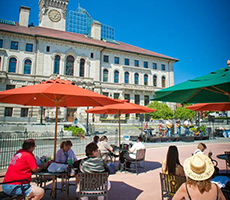 Special events enhance the quality of life for Worcester residents, bring in visitors who will shop in Worcester businesses and help us celebrate all the diverse cultures and talents of the people of our fine city. Our staff is here to work with you to make your event as great as it can possibly be so contact us today! Trees growing in urban and suburban settings have unique needs that must be met if they are to be given the best opportunity to thrive. Learn more about Worcester's urban forest, how it is cared for and how it benefits the City's ecosystem. 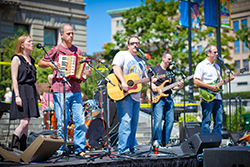 The Worcester Common is located in the core of the City and home to a number of popular events such as the Out to Lunch Festival and Farmers' Market, annual festivals, outdoor activities and more.